Test Anxiety is Common – You Aren’t Alone! Eat a good meal before the test. Not so much that you feel groggy but enough to give your brain the calories its needs to function well. Remember, your brain is an organ that needs to be nourished like all the other organs in your body. Coffee and donuts aren’t very nutritious even though they’re quick and easy. Exercise to reduce tension and encourage thinking. It stimulates your mind and body and improves your ability to concentrate. Give yourself time in the classroom to relax and compose yourself. Breathe deeply. Imagine a relaxing scene and allow your muscles to relax. Then think about the test while you’re in this relaxed state. Have a positive attitude. Tell yourself you studied as well as you could have for the test and believe it. Convince yourself that others have done well on this test and you can, too. Make sure you can see a clock to plan your time and pace yourself. Not knowing how much time has elapsed creates anxiety. Budget your time so you can answer all of the questions. Begin by filling in the answers you know. This makes you confident and relieves anxiety because you see that you do know the answers. It may also trigger recall of other answers that you had forgotten. Don’t panic if others are busy writing and you’re not. By spending time thinking, you may create better quality than someone who’s writing frantically. Don’t panic if you forget an answer. Move on to other questions – the answer may occur to you as you continue taking the test. Be careful of the numbering on your answer sheet if you skip a question! Don’t worry if others finish before you do. Finishing first doesn’t guarantee the best grade. Usually the better papers are handed in by students who spend time thinking about and checking their answers before turning in their papers. This entry was posted in For Students and tagged examination stress, test anxiety on January 11, 2014 by Karyn Rashoff. Press Release: Trying to Figure Out Your Highschooler? CONTACT: Karyn Rashoff, info@karynrashoff.com, 949–939–2549. Here’s a Book You Can Use Tonight. 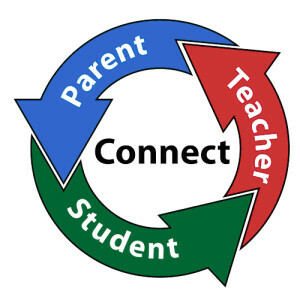 IRVINE, CA—September 1, 2013—Parents in Highschooland: Helping Students Succeed in the Critical Years, is Karyn Rashoff’s caring and supportive account of thirty-three years of dedicated work as a high school guidance counselor. 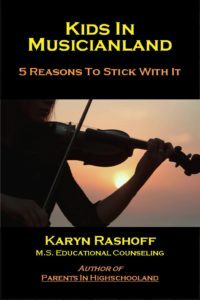 During her career, which began when she was only 23 years old, she documented nearly 20,000 counseling interactions with students, parents, teachers and administrators, and in this book she identifies, analyzes and resolves the complex and usually conflict-filled interactions between students and their parents, using some fifty stories taken lovingly from ‘real life’. Rashoff started her career as a middle and high school counselor in a rural town in Northern California, and over the years she has worked with students and families in large cities and in suburban high schools, as well, all the time realizing that parents—regardless of income, ethnicity, race or social status—just want the very best for their children’s education and lives. Concrete anecdotes and examples of positive things parents can do and have found successful in their homes and in their direct contact with school officials, teachers, coaches—and of course, their teens—are supplemented throughout the book by tips, interviews and true stories told by both students and parents. To sum up, this book can be used as quick reference for ideas and approaches that parents and students may use immediately, both at home and in school. 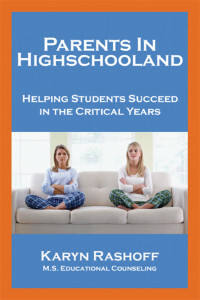 Parents in Highschooland: Helping Students Succeed in the Critical Years ($12.95, ISBN: 978–0-9897606–1-4), a 176-page paperback published by BarkingDogBooks, is also available as an e-book, in bookstores, major book retailers and online booksellers. This entry was posted in For Parents, For Educators, For Students, Media News on August 22, 2013 by Joyce Kaye.